​Auckland, 3 June 2014 - CBRE New Zealand says its latest research into Auckland’s office sector from the second half of 2013 shows some interesting changes taking place for the local IT sector, with consolidation, expansion and relocation due to growth driving the majority of activity. 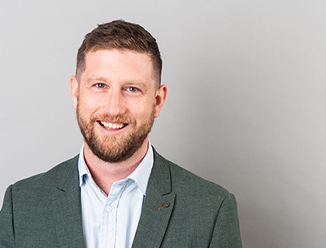 With several high profile IT companies such as Orion Health, EROAD and Dimension Data making moves in their property portfolios, the sector’s activity within the Auckland office market is worth making note of. The IT sector took up 0.1% more space during H2 2013 than it did in H1 (7% take up in H1 compared to 7.1% in H2), says CBRE. 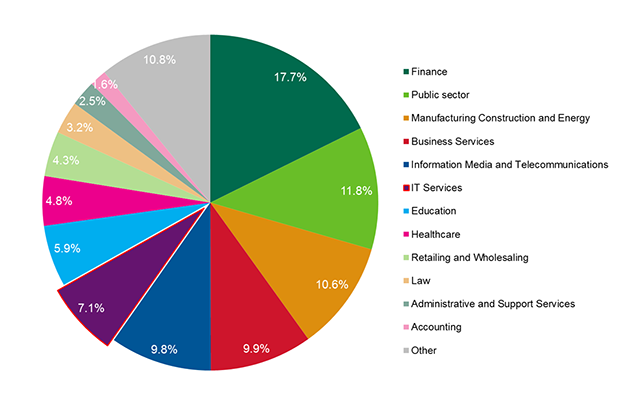 However, Gaspardy makes note that in 2013 as a whole, the IT sector took up 5% of all office stock in Auckland, and was the seventh most active sector with regards to relocations to new space. “For example, Dimension Data consolidated several previous office locations to their new HQ in the Viaduct. Similarly, Orion Health took up some additional space on the other side of the road where they have their head office already so expansion was their key driver. 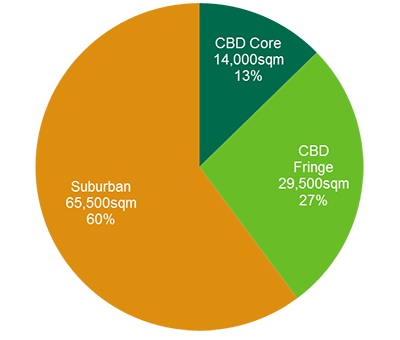 CBRE’s research shows that suburban areas are more popular with IT occupiers than the CBD or city fringe. 13% (14,000sqm) of office space is in the CBD core, 27% (29,500sqm) is located in the CBD fringe, and the majority (60% or 65,500sqm) of IT offices are in Auckland’s suburban areas. Grafton, Greenlane, Albany and Takapuna are the most occupied suburban areas, with some 3,000sqm of Grade A space occupied in Greenlane. Within the central city, the CBD core is the top spot for IT firms. However, for Grade A office space, the Anzac Ave Zone is leading the way, with the Victoria Quarter and Viaduct Basin Zone offering some very good quality Grade A spaces too. Gaspardy says that generally speaking, IT companies do not seem to have a strong preference for one particular location, contrary to law firms, the financial sector or the education sector which all have rather clear preferences about locations. Gaspardy says that anecdotally as far as lower quality grade for office space is concerned, IT people are less concerned than other sectors about office grading. There seems to be more of a focus on work place culture and informal incentives such as staff get-togethers and meals. Interestingly, says Gaspardy, the majority of IT firms (157) take up between 0 - 500sqm of office space, and only two firms occupy spaces over 5,001sqm. “Part of the reason that the majority of firms within the IT sector often require less than 500sqm for their offices is that many IT businesses are small to medium in size, and of course the IT sector has a healthy and growing number of start-ups, probably more so than most other sectors. CBRE says the IT sector as a whole is a healthy and buoyant market, pointing to a recent report from the Ministry of Business, Innovation and Employment (The New Zealand Sectors Report 2013). Employment figures have been increasing since 2002, and IT salaries are twice the national average - as well as growing faster than the average. Significantly for the property sector, almost half of all IT services invested in expansion in 2012, which indicates an active and growing market. CBRE says Auckland’s total office stock is slightly over 3,000,000sqm, spread across the CBD, CBD fringe, and suburban locations. Gaspardy says the CBD office market is emerging as the most supply-constrained over the near term, and across Auckland, high levels of confidence and strong positive sentiment are evident. Moreover, latest research shows that Auckland vacancies are dipping below their long-term averages in most sectors of the property market. CBRE says the key factors for IT firms large and small to keep in mind over the next 6 - 12 months is that the sector as a whole is growing, which is driving both staffing needs and property requirements for office space. With expansion, consolidation and relocation due to growth influencing many firms property requirements, CBRE advises IT business owners and managers to be aware of the office market, locations and availability, so that if and when the need for new or different space arises, movement can happen quickly, efficiently and with minimal downtime for operations and service delivery.